Tokyo is truly one of the great dining cities of the world, and there's far more than just sushi and Kobe beef to enjoy. Charcoal-grilled pork on skewers, udon noodles in curry-flavored soup, octopus dumplings, deep-fried beef cutlet -- these are a few of the beloved Japanese dishes that visitors often miss out on. This thoroughly researched guidebook introduces twenty of Japan's favorite specialty cuisines, many of which aren't well known abroad, ranging from tonkatsu (pork cutlet) and okonomiyaki (savory pancakes) to the ever-popular ramen and curry rice. 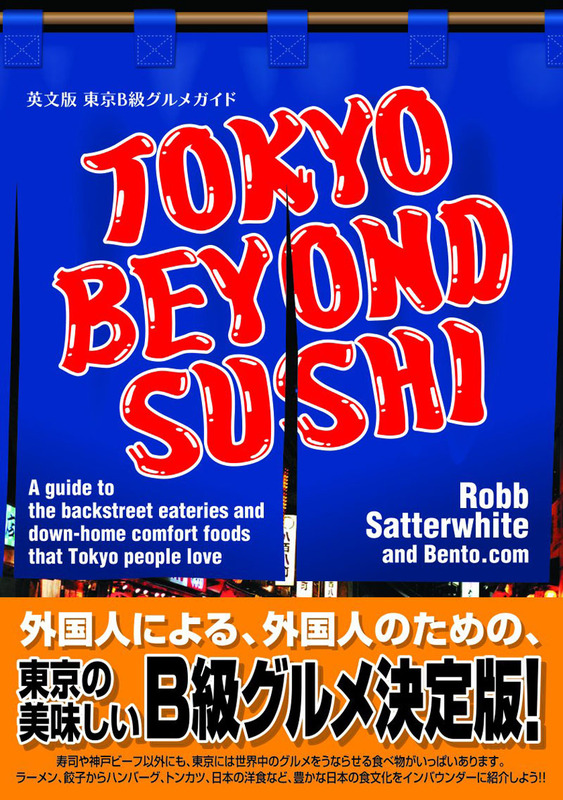 You'll find detailed descriptions and histories for each of these dishes, along with expert advice on what to order, tips on dining etiquette, and reviews of the best places to try them, including more than 150 restaurants, pubs and after-work standing bars in Tokyo. The book also provides helpful bilingual food glossaries, and is supplemented by online restaurant maps that are accessible from smartphones and other devices. In Tokyo, available in all Tokyo-area English-language bookstores. In Japan, available from Amazon.co.jp (Y2160 including tax). In the the US and Canada, available from the Yes Asia North America site (US $29.99). Worldwide, available from the Yes Asia global site (US $29.99). Photo credits: Fourth photo on page 5, third photo on page 8, all photos pages 125-142 (ramen), and all photos pages 223-226 (kakigori) are by Brian MacDuckston. All other photos by Robb Satterwhite.